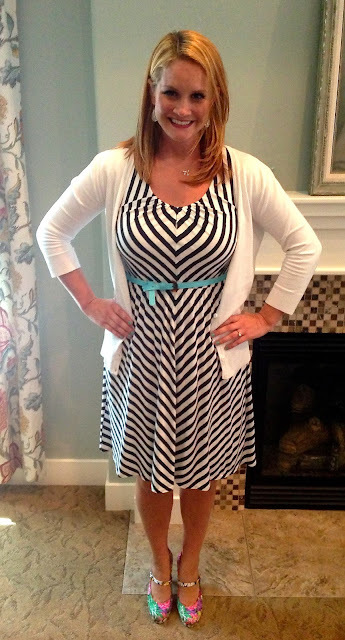 Tricia's Take: OOTD- Stripes can be a girl's best friend! OOTD- Stripes can be a girl's best friend! Dress: Anthropologie Intersections Day Dress ON SALE TODAY!!!! I hope you picked up some sale goodies today!!!! I know I can't wait for mine to arrive!! !